Donegal are looking for clarification from the GAA over issues they have regarding the choice of Croke Park as the venue for their opening Super 8s game against Dublin. The Ulster champions are unhappy that they have to play the All-Ireland champions in Croke Park, which in effect means that Jim Gavin's side will have two home games during the round robin format. Donegal will play in Croke Park on July 14, before playing an away game against either Roscommon or Armagh, and then finishing against Cork or Tyrone at home. 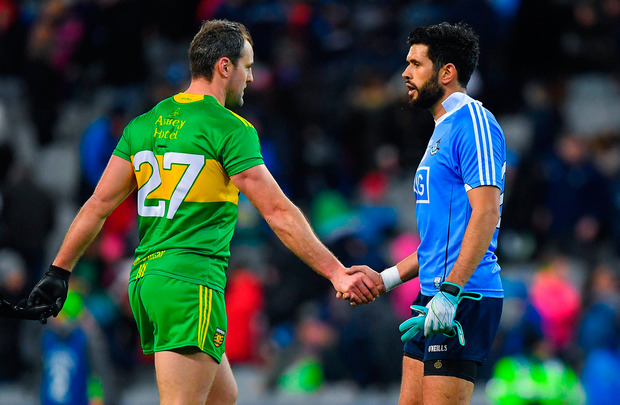 In a statement tonight, Donegal said they wish to 'seek clarification' over why Dublin will be allowed play two games in Croke Park. "C.L.G. Dhún na nGall are to seek a meeting with GAA Officials to seek clarification on how any County may use a Ground as both Neutral and a Home venue," the statement said. "The intention of the meeting is to ensure a level playing field for every team who will qualify for the All-Ireland Quarter-Final Group Stage and ensure that no team has any advantage over any other team."